2) You gain a greater understanding of the work- most of my meetings with my lecturers were to discuss assignments or concepts that I didn’t understand. One meeting that was especially valuable was when my lecturer ran through concepts quickly with me. It amazed me how easily he explained everything and how easily I was able to understand. The fifteen minutes in his office did more for my education than the entire semester of classses. 3) You can find out exactly what your lecturer expects of you- The day of my driver’s test, I missed my last Criminology lecture as well as the scope for my exam. My lecturer was more than willing to meet with me to give me the scope and tell me what she was looking for. Since it was my first year at college and I had no idea how to write an essay, that was a really productive session. 4) It’s the lecturer’s job- okay this is a stupid reason to attend office hours but hey lecturers are around to help you! If you can’t ask a question in class, pop in to visit your lecturer and ask them in private. Some of my best and most effective learning has been done during office hours. Whether it’s learning to write an essay, revising assignments or going through concepts to make certain you understand it, office hours are a great tool for college students. 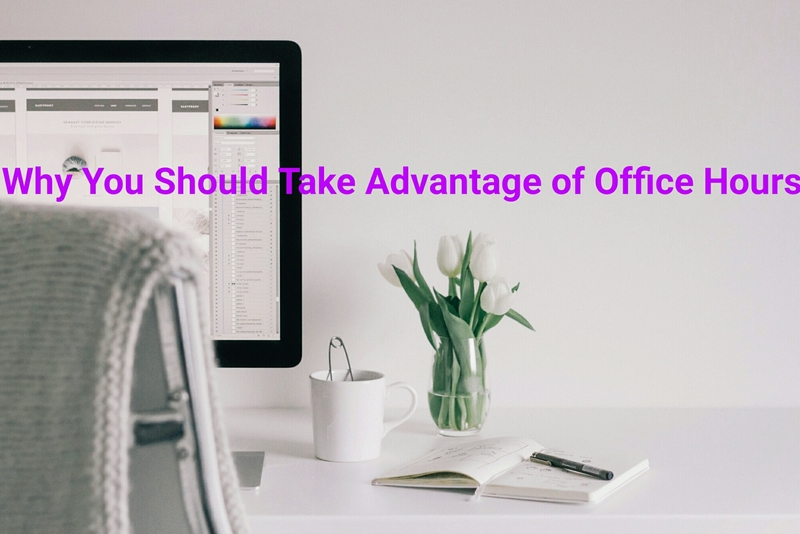 Do you make use of office hours? Let me know below.